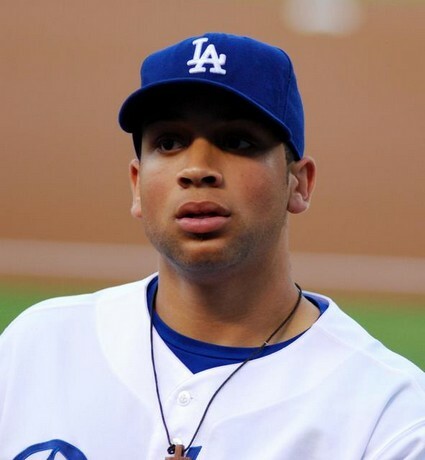 The 911 call of Los Angeles Dodgers James Loney shows that he is a major league jerk for trying to flee a multi-car accident he caused after passing out at the wheel of his car. An unconscious and apparently drunk and/or stoned Loney smashed into several cars on an L.A. freeway last November. Then the loser woke up and tried to flee the scene in his silver Maserati – only to crash his own car – again – and it’s all on the 911 tape. The lady who telephoned 911 is the owner of one of the cars Loney smashed into and she describes the entire incident in dramatic detail as it happens! TMZ has the exclusive audio: When the person on the phone makes the call, she says Loney is “‘completely passed out in the front seat” after colliding with several cars — but Loney wakes up before she ends the call and tries to take off. The caller freaks out — screaming, “Oh my god! Oh my god! He tried to leave the scene … He woke up, and he slammed on the gas and took off across all the lanes on the freeway. The caller says Loney quickly hit another car and ended up on the other side of the highway with a broken axle. You gotta hear the clip. Police responded and handcuffed Loney right in the scene of the crime. They then took him to a nearby hospital to be checked for alcohol and drugs and arrested him on suspicion of DUI. Police obtained a blood sample which miraculously came back negative for drugs – perhaps they tested for the wrong ones. Mysteriously, The L.A. City Attorney decided not to prosecute for a supposed lack of evidence. Here we go again with some special celebrity justice. Did Amy Winehouse Die Because She Stopped Drinking Alcohol?